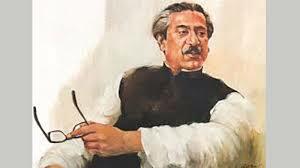 Desk Report: Bangla Academy will soon publish three books authored by Bangabandhu Sheikh Mujibur Rahman, reports Daily Star. Prof Shamsuzzaman Khan, director general of Bangla Academy, said this yesterday at a discussion on Bangabandhu’s two already-published books — “Karagarer Rojnamcha” and “Oshomapto Atmojiboni”, marking 43rd death anniversary of Bangabandhu and National Mourning Day (August 15). The academy organised the event at Bangladesh National Museum. The first of the upcoming books is a travelogue on Bangabandhu’s visit to China. Its title, “China Bhromon” was suggested by Prime Minister Sheikh Hasina, Prof Shamsuzzaman said, adding that Bangabandhu originally wrote its script under the title “Noya China”. They will also publish an English version of the book, said Prof Khan.